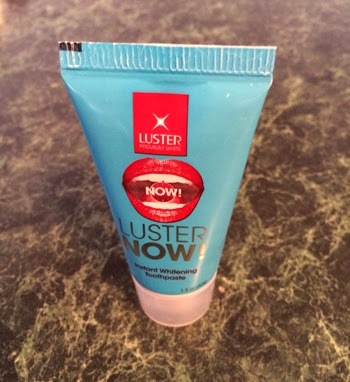 THE SKINNY: I will warn you before you open a tube of Luster Now Toothpaste toothpaste. It is the color of the tube -- very bright blue. The color scared me a bit at first. But the toothpaste, which is designed to help whiten and remove stains, actually works well. I could not tell a difference after one brushing -- as the package claims -- but did notice some subtle changes after a week. The flavor is minty and easy to deal with, making this a good option for a deeper brushing cycle every few months. CHECK IT OUT: I found this product at Walgreens, but other retailers such as Amazon carry it as well.